They may not be among best of friends but the two neighbours surely love their bollywood. Pakistan's largest smart phone manufacturer QMobile has signed on Kareena Kapoor, the Bollywood heart throb for advertising its latest high end Android smart phone called Noir Quadcore Z4. The Noir Quadcore Z4 ad will be shot in Thailand and may be the costliest ad made by Pakistan (at least by its mobile biz). It will be directed by popular director Farooq Mannan. 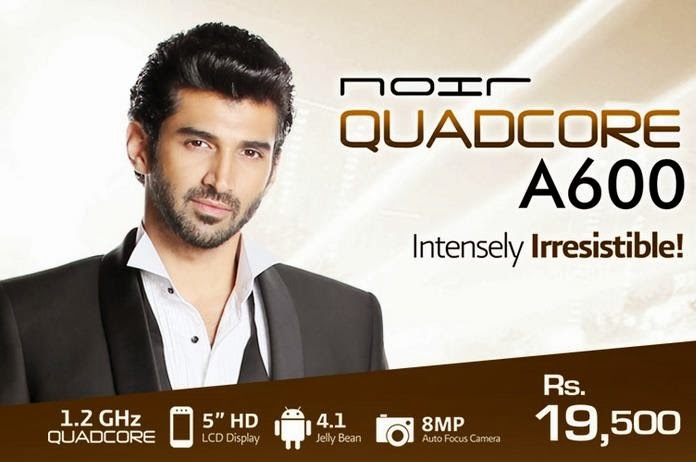 Earlier this year, QMobile had signed on Aditya Roy Kapur of 'Aashiqui 2' fame for its Noir A600 Quadcore smart phone and it seems that that had helped the company sell a lot of A600s in Pakistan. The Noir Quadcore Z4 is a 1.5 GHz quadcore turbo processor run smart phone that will have a 13MP rear shooter and 5MP front facing camera. It will have a 32GB internal memory and run on 2GB RAM. It will have all the trappings of a Android smart phone like the motion sensors and Air gesture. And it will be sold at a price tag of PKR 35,000($330 or Rs.20445.00) quite the same as the top end Micromax, Karbonn or Lava being sold in India. QMobile is a brainchild of serial entrepreneur Pervez Akhtar of Allied Electronics Industries who also imports, assembles and distributes LG products in Pakistan. One does hope that this mobile bonhomie rubs off on the political leaders of the two countries.